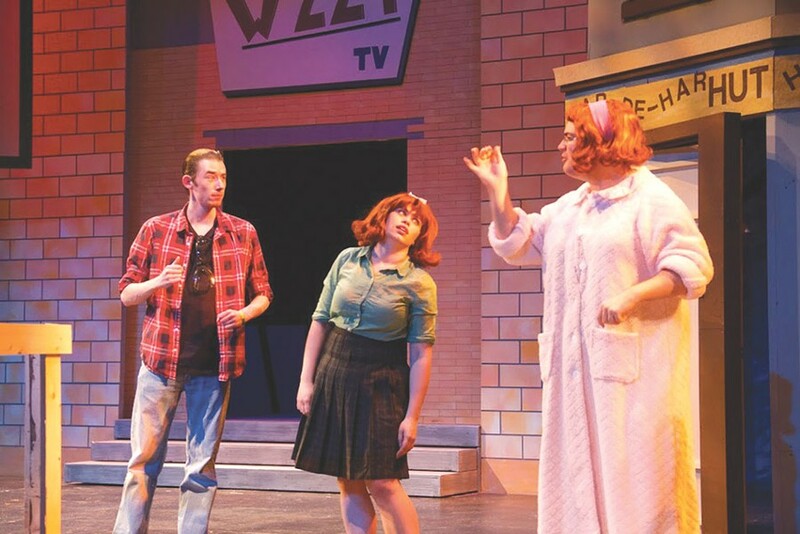 "Hairspray," the acclaimed Broadway musical, will be presented in all its teenage-glitz glory in four performances by the National Technical Institute for the Deaf Performing Arts program at Rochester Institute of Technology. In this well-loved, coif-heavy production, Tracy Turnblad peruses her dream of performing on the Corny Collins Show, while trying to win the affection of the dreamy Link Larkin and dethrone the reigning Teen Queen. Seeing a show by RIT/NTID Performing Arts is an experience not readily forgotten. Established in 1974, the program annually produces a number of shows for both deaf and hearing audiences with deaf students cast in lead roles. Lines are delivered simultaneously in sign by the primary performers and spoken or sung by secondary "voicers," so that each character is played by two actors. With more than 30 years of experience brought to bear on each show, their methods for delivering multi-linguistic performances are sophisticated and seamless. RIT/NTID will perform "Hairspray" beginning on Friday, April 24, at the Panara Theatre at RIT, 1 Lomb Memorial Drive. Performances are Friday, Saturday, and Sunday, April 24 through 26; and Friday, May 1, and Sunday, May 3. Friday through Saturday, 7:30 p.m.; 2 p.m. on Sunday. $5-$7. ntid.rit.edu/theatre.